Oct 28, 2015 | By CENS | RAY FU ENTERPRISE CO., LTD. Since founded in 2000 in Kaohsiung City, southern Taiwan, Ray Fu Enterprise Co. has been dedicated to manufacturing various fasteners and steel wires as a specialized supplier in the global market. Obviously a world-caliber manufacturer underpinned by constant pursuit of excellence, the company has acquired certification of CE DIN EN14592, ISO9001:2008, ISO14001:2004, and ISO/TS16949:2002, to show world-caliber standards. Besides continuously improving its production capability, the firm has also invested steadily in QC test equipment to ensure effective control of manufacturing processes, to provide customers with high-value-added products and achieve mutual benefits. Moreover, the company boasts a QC lab accredited by the Taiwan Accreditation Foundation (TAF) and certified to CE DIN EN 14566 standards. This manufacturer is also recognized for integrated production capability at its steel wire factory in Kaohsiung, southern Taiwan, which is equipped with a wire rod warehouse, spheriodizing annealing furnace, pickling surface equipment, wire drawing machines, and screw makers. The company is widely known among buyers from Europe, the U.S., Australia, New Zealand, Japan, and the Middle East for stable, speedy manufacturing services. Ray Fu supplies an extensive range of products including screws (self tapping screws, machine screws, drywall screws, chipboard screws, furniture screws), bolts (hex head bolts, carriage bolts, flange bolts), nuts (hex nuts, square nuts, flange nuts), and washers. To boost global exposure, the firm will as usual be traveling to several high-profile trade fairs for fasteners around the world in the years to come, including International Hardware Fair 2016 (March 6-8) in Cologne, Germany; Taiwan International Fastener Show from April 11 to 13, 2015 in Kaohsiung; Fastener Fair Mexico from June 1 to 2, 2016 in Mexico; and National Industrial Fastener & Mill Supply Expo October 22-23, 2016 in the U.S. Buyers interested in working with Ray Fu will be able to see the firm's full line of fasteners on display at those venues. 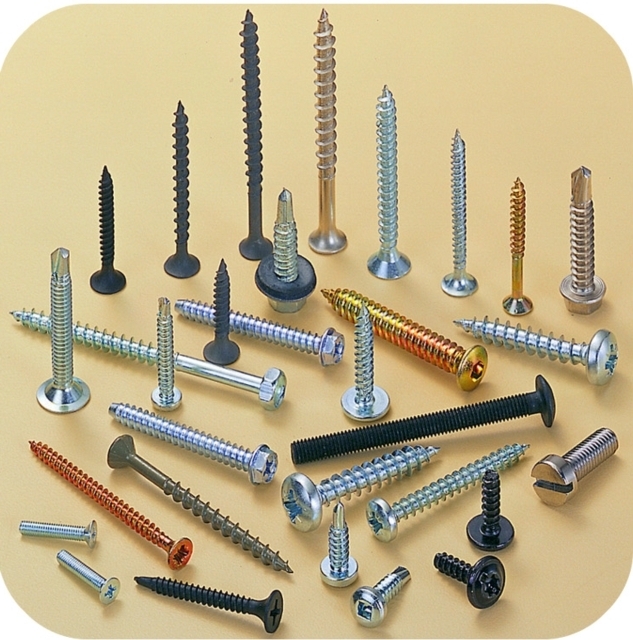 Ray Fu supplies a broad array of fasteners including self-drilling screws, chipboard screws, roofing screws, etc.